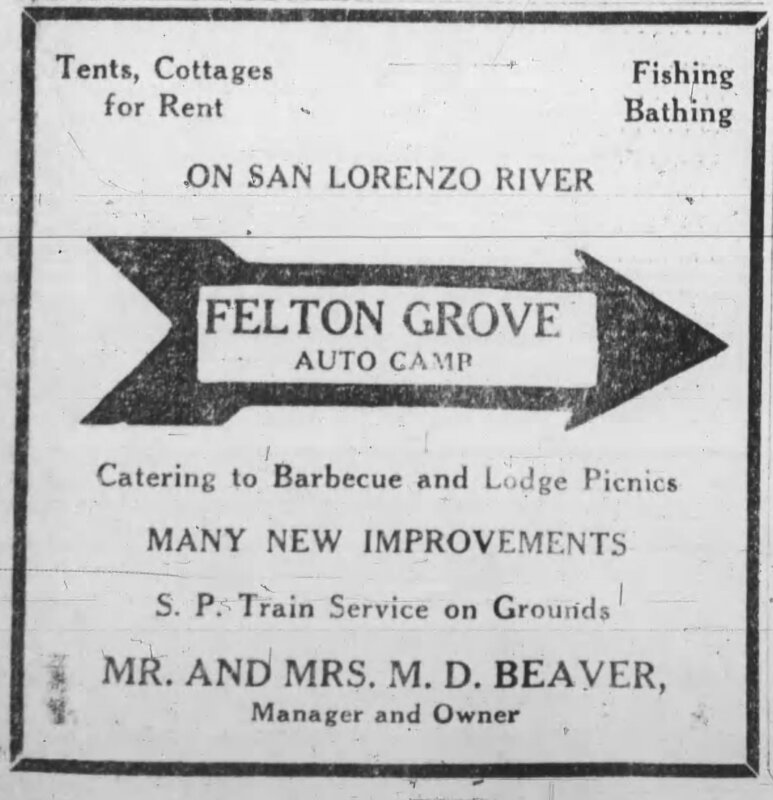 The train ran from Felton Depot (now Roaring Camp) directly past the entrance to the Felton Grove Auto Camp. 1922 Ad. This entry was posted in Auto Camp, Felton Grove History, Railroad Service, Train Service and tagged 1922, Felton Grove Auto Camp. Bookmark the permalink.